Information was shared with over 250 travel and sales agents about the attractions, services and infrastructure in the Riviera Nayarit and Puerto Vallarta for the next Winter Season. 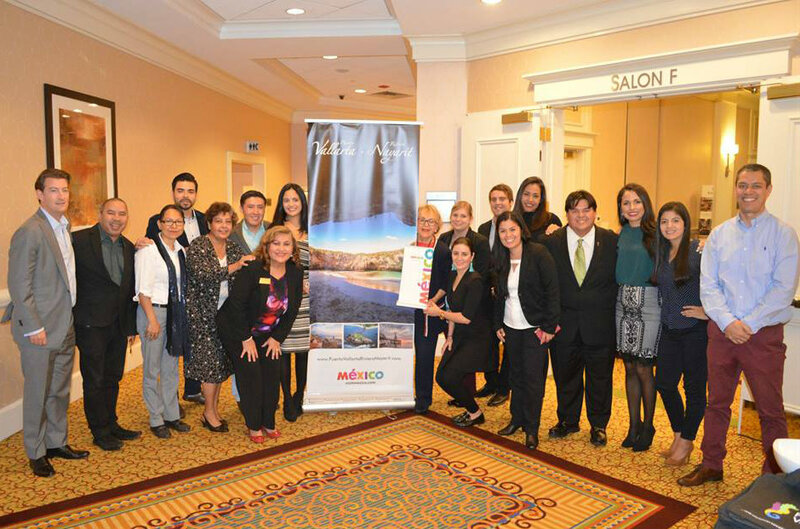 A joint promotional tour organized by the Riviera Nayarit Convention and Visitors Bureau (CVB) and the Puerto Vallarta Tourism Trust (Fidetur) and with the support of the New York office of the Mexico Tourism Board took place from October 3-6 in the cities of New York, Philadelphia and Baltimore with the purpose of reinforcing tourism promotion on the East Coast of the United States. 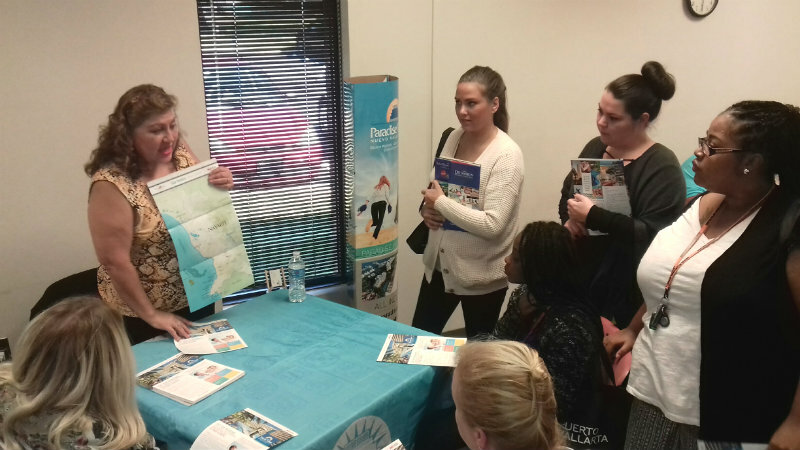 Both offices and their Promotions and Sales desks led three training seminars and trade shows with the participation of over 15 hotels from both destinations as well as wholesalers Apple Vacations, Delta Vacations, Travel Impressions, GoGo Vacations and Interjet airlines. The tour began in New York City, where they held a seminar and trained 50 travel agents, several of which belong to Virtuoso Agencies such as Alltour, American Express, Protravel, Tzell, as well as Valerie Wilson; these agencies are located in the Big Apple and the neighboring state of New Jersey. The second city on the list was Philadelphia, Pennsylvania, home of the call centers for tour operators Travel Impressions, Cheap Caribbean and Apple Vacations, where 150 reservations agents received training. Travel Impressions is one of the agencies that refer the most groups to this region from the East Coast of the United States. Last but not least, the tour concluded its third seminar in the city of Baltimore, Maryland, before 50 travel agents from around the state as well as from Washington, D.C.
A total of over 250 executives received training, including many Virtuoso agents, who demonstrated a keen interest in the hotels and luxury services offered by the Riviera Nayarit and Puerto Vallarta, although they did know quite a bit already about the area of Punta de Mita, located in the northern part of the Riviera Nayarit. One of the key to the promotional tour’s success is the excellent connectivity available from the East Coast of the United States to the region: Volaris, Interjet and Aeromexico offer flights to Mexico city with several connections to the Puerto Vallarta International Airport. There are also two direct flights in service during the winter season: one from New York’s JFK airport operated by Delta Airlines and another from Newark Airport in New Jersey, operated by United Airlines. There are also connecting flights on Delta Airlines from Atlanta, United connects through Houston and American Airlines connects through Dallas, Texas.